The ability to turn unattractive rough diamonds into breath taking, luxurious polished diamonds, is a form of ART. Just like a painter, a sculpture or an architect, the fingerprint of an exquisite diamond manufacturer, can be seen in his diamonds. Although technology made a big step in the past two decades, still, the most important "too" in the production process, is the diamond manufacturer. His skills & talent will determine the diamond beauty. Meticulous and precise planning will impact the shape, the clarity and most importantly, the light performance & brilliancy. Great love for the profession, years of experience and David Levy unique talent, is what makes our diamonds all so special. What is an HPHT processed diamond? HPHT stands for "High Pressure High Temperature". When a diamond is "HPHT Processed", it has been exposed to heat in excess of 5,000˚F and pressure of 700,000 pounds per square inch to change its naturally occurring color. This process only works on rare type 2A naturally mined diamonds which are typically brownish to gray in color. 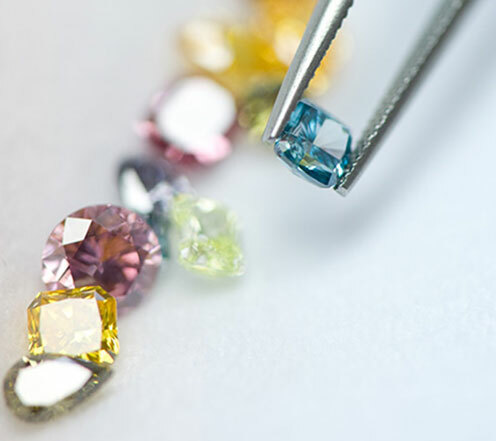 Most HPHT processed diamonds turn near colorless white, but occasionally the process can yield colors in blue, pink and yellow hues. Since the rough type 2A diamonds are normally an undesired color, but excellent clarity, we are able to purchase these goods for an extreme discount. After we are finished with the HPHT process, the resulting diamond has a very high color grade / clarity combo. Since the rough stone was discounted so dramatically, we are able to pass that savings on to you! The HPHT process only works on rare type 2A diamonds. Experts classify diamonds into groups to indicate slight differences in their molecular structure. 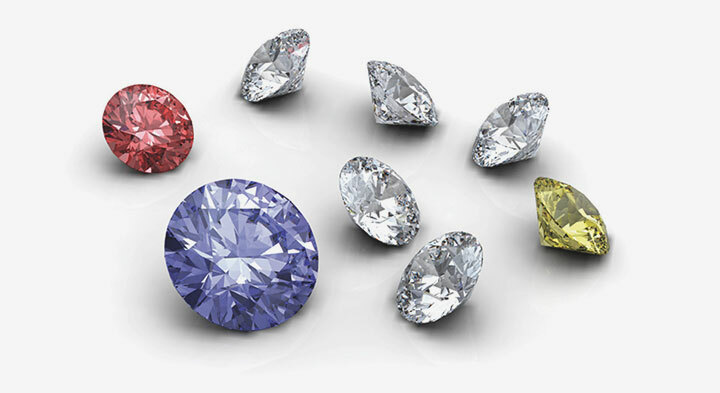 Type 1 diamonds, which make up more than 98% of all the diamonds mined in the world, are identified as stones that contain a natural nitrogen impurity. Type 2A diamonds, which are far rarer, have a perfect molecular structure and very low nitrogen content. Because of this perfect molecular structure, when exposed to the proper conditions, the color of type 2A diamonds can improve dramatically. In some cases, the proper conditions have occurred in Mother Nature, creating world renowned type 2A diamonds such as the Cullinan and Koh-i-Noor. 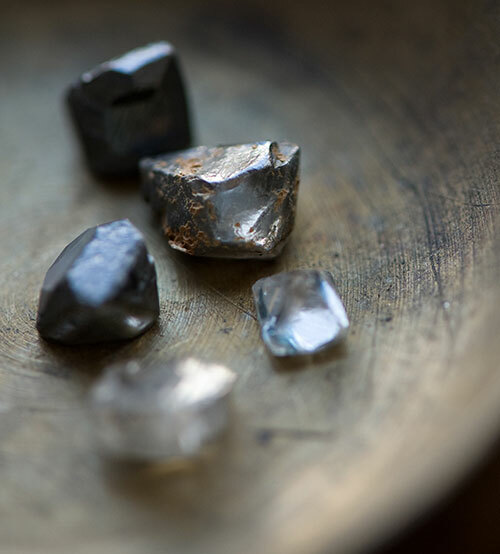 We strive to find type 2A diamonds that have not been exposed naturally to the correct temperature and pressure required to “finish what Mother Nature started”. The end result from an HPHT processed diamond is the same as if it has been exposed to millions of years of heat and pressure under the earth's crust. Once a diamond has undergone the HPHT process, it cannot be undone or revert back to its original state. Do HPHT processed diamonds require any special care? No. HPHT diamonds are structurally identical to non-processed diamonds. You may treat them the same way you would treat a non-processed diamond. They can be recut or re-polished, exposed to a jewelers torch and be cleaned with any chemical or process that is currently used for diamonds. Will people know I have an HPHT processed diamond? No. This process is undetectable without the use of gemological laboratory equipment. Neither you, nor any jeweler will be able to tell that these diamonds have been processed in any way. Can an HPHT processed diamonds revert back to its original color? No. Once a diamond has been "HPHT Processed" it can never revert to its previous state. Because of this fact, HPHT processed diamonds are certifiable by accredited gemological laboratories such as the GIA, which is the leading authority for the diamond industry. Are HPHT processed diamonds artificially grown in a lab? No. Not to be confused with "Lab Grown" HPHT diamonds, "HPHT Processed" diamonds are 100% naturally mined type II a diamonds that have only undergone exposure to extreme heat and pressure. They are not coated, filled or treated with any synthetic materials or processed. Does the HPHT process improve the clarity of a diamond? No. The HPHT process cannot improve the clarity of a diamond. In fact, the exact opposite can be true. In some cases the HPHT process can cause pre-existing inclusions to expand or get worse. The extreme conditions that are present during the HPHT process are so severe, that only diamonds with zero to very few inclusions can survive the treatment. 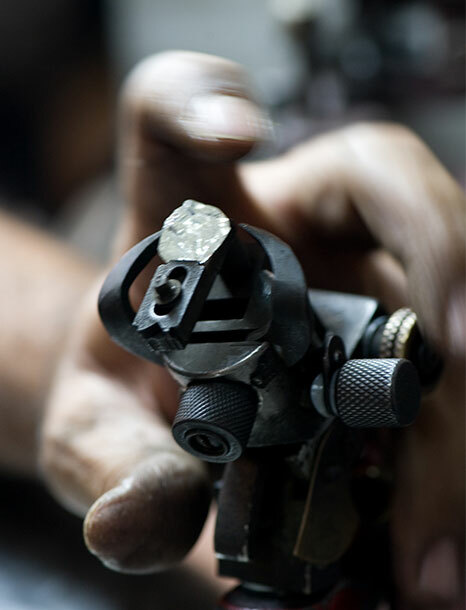 For this reason, we only put the finest graded diamonds through the HPHT process. The resulting outcome is that 90% of all HPHT processed diamonds will have a near flawless clarity grade. How does the HPHT process affect the resell value of a diamond? An HPHT processed diamond will be worth significantly less than an untreated diamond of the same color/clarity combination, but will still increase in value at the same rate. This means that HPHT processed diamonds can be a sound investment and a way to purchase a very high quality diamond for a fraction of the cost of its untreated counterpart. A clarity enhanced diamond is a diamond that has had its naturally occurring flaws (called inclusions) filled with a composite glass-like material. Similar to when you have a cracked windshield repaired, this process makes inclusions that are visible to the naked eye virtually disappear. 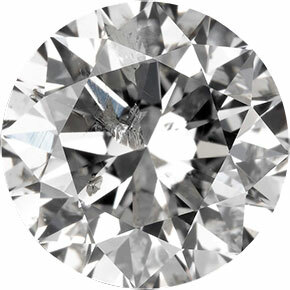 This treatment allows the diamond to reflect light better, giving it more fire and sparkle. Clarity enhancement also makes a diamond appear a finer grade than it actually is. In reality, a clarity enhanced diamond is a lower graded diamond that has been enhanced to appear a higher grade than it actually is. This means that you pay significantly less than you would for an equivalent appearing diamond that is not enhanced. On average, you can purchase a diamond that is 30% larger, with better color and clarity appearance for the same budget. Clarity enhanced diamonds are sometimes called “fracture filled”, “laser drilled” or simply referred to as “CE”. The enhancement process works by filling or “fixing” naturally occurring inclusions within a diamond. More than 95% of all diamonds that exist in the world today have naturally occurring inclusions that impair the clarity of the stone. It is extremely rare to find a diamond that lacks inclusions. Our enhancement process involves filling an existing type of inclusion called a “feather”, drilling microscopic paths to reach internal voids and/or blasting small black inclusions with a laser to remove the dark color. Since not all types of inclusions can be hidden or “fixed” with clarity enhancement, all of our diamonds are handpicked to find the ones that would be most suitable for the process. Do clarity enhanced diamonds require any special care? Clarity enhanced diamonds can be cleaned and cared for in the same manner as a non-enhanced diamond, with a few exceptions. You CANNOT acid soak, re-polish or expose a clarity enhanced diamond to a jeweler's torch or you risk damaging the enhancement. We also recommend avoiding jewelry cleaners that contain ammonia. You CAN expose the stone to ultrasonic cleaning, steam cleaning and heat up to 600 degrees Fahrenheit. What happens if the filling of my clarity enhanced diamond gets damaged? The conditions that are required to damage the filling of a clarity enhanced diamond are typically only achieved on a jeweler's torch. Damage can easily be avoided by disclosing to anyone who works on your diamond that it has been clarity enhanced. If the filling is ever damaged, regardless of the cause, we will replace the filling at no charge. Our clarity enhanced diamonds have a warranty for the life of the diamond. Is the clarity enhancement process reversible? Yes. If ever you decide you would rather have your clarity enhanced diamond in its original state, the filling material can be removed at any time. Are clarity enhanced diamonds real diamonds? Clarity enhance diamonds are 100% authentic diamonds which have been mined from the same locations as untreated diamonds. Are clarity enhanced diamonds worth less than untreated diamonds? A clarity enhanced diamond is valued at the price it was graded BEFORE it was enhanced. For this reason, you are able to purchase a diamond that appears to be a higher grade for the price of a lower graded diamond. Regardless of what we do to the diamond to make it look better, it will always remain a naturally mined lower graded diamond and will be valued according to its original state. Does clarity enhancement change the color of a diamond? Clarity enhancement ONLY changes the clarity of a diamond. The graded color does not change. 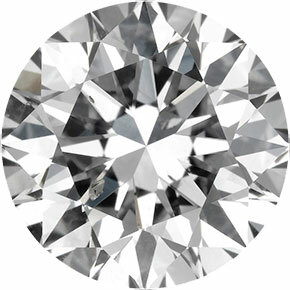 In some cases, the inclusions were so severe before the enhancement process that they impaired the diamond’s ability to refract light properly. The improvement in clarity after the enhancement process can sometimes make the stone appear brighter in color, but this is only an optical illusion. Do clarity enhanced diamonds have a poor resell value? Although not all jewelers' deal with clarity enhanced diamonds, these gemstones follow the same pricing fluctuations as untreated diamonds. In fact, our research has shown that because clarity enhance diamonds are gaining popularity in the United States, their resale value is increasing more rapidly than non-treated diamonds. Simply because they are so rare, and out of our need to differentiate ourselves, even with the diamonds we purchase. Fancy Color diamonds, have become the hottest trend in jewelry fashion.The Stunning and exceptional colors nature has produced, are desirable today, more than ever. Produce not only yellow color, but also rarest colors as pink, blue and even red in variety of sizes and models so impressive, that are almost impossible to find in nature. Now, you can afford your desire! And own a magical diamond. Being diamond manufacturers, we've got a necessary and absolute condition to be able to identify our diamonds. Since our business tends to become more "memo" oriented, for diamond wholesalers and retailers this necessity is even more significant. 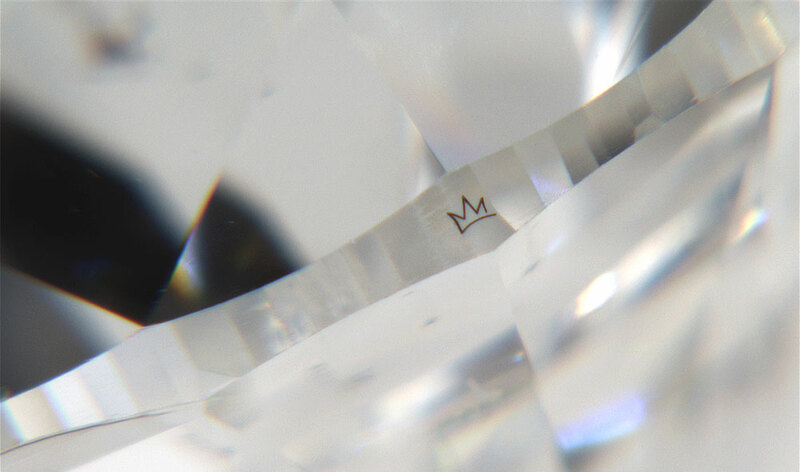 Our crown signature inscription allows you to be dead sure, that none of your diamonds has been accidentally or unintentionally replaced. In addition to that, our crown signature can be rendered as your and your customers' transferable "life time warranty" for our unique fracture filling process. In case the enhancement was damaged for any reason, we shall treat this diamond again free of charge. This feature complements our business Philosophy, which is based on trust, responsibility and the highest standards of service we wish to provide for our customers all over the world. The Kimberley Process started when Southern African diamond-producing states met in Kimberley, South Africa, in May 2000, to discuss ways to stop the trade in ‘conflict diamonds' and ensure that diamond purchases were not financing violence by rebel movements and their allies seeking to undermine legitimate governments. In December 2000, the United Nations General Assembly adopted a landmark resolution supporting the creation of an international certification scheme for rough diamonds. By November 2002, negotiations between governments, the international diamond industry and civil society organisations resulted in the creation of the Kimberley Process Certification Scheme (KPCS) . The KPCS document sets out the requirements for controlling rough diamond production and trade. The KPCS entered into force in 2003, when participating countries started to implement its rules.